I was a busy little bee in the kitchen yesterday doing a few experiments and lucky for me (and you guys!) I was quite successful! As you guys know, last week I took my last final and graduated with my second bachelor’s degree. Yesterday our grades were posted for our final exam and I confirmed that I graduated with a 4.0! In my book, that calls for a celebration! You may remember how we got some free pints of ice cream at EarthFare a few weekends ago…and I’ve been thinking about making some cookie ice cream sandwiches ever since. Over the weekend, I decided that I was too lazy to bake cookies, so I planned to make some vegan cookie dough and just use that to make my ice cream sandwiches! After I started looking a recipes, I started thinking about how I’ve also been wanting to make some dessert hummus and haven’t gotten around to it yet! Have you guys heard of this? It’s essentially a sweet hummus that tastes like cookie dough. Plus, it’s vegan! And generally healthier than cookie dough. Boom! Problem solved. There are tons of different recipes out there but as usual, I just decided to wing it. I rinsed a can of chickpeas and threw it in the food processor. I added some peanut butter and some agave nectar and a splash of water and mixed it all up. Then I took a quick taste, and voila! SO GOOD. I realized later that I forgot to add vanilla extract, but that’s ok..you guys can add it for me! Once I tasted it, I realized there were quite a few ways I could enjoy this delicious treat! I’ll introduce you guys to three ways today. First, just eat it as a dip. Graham crackers would be especially good for dipping. Second, use it to make the sandwich part of an ice cream sandwich. Third, add some oats, form into balls and freeze for a quick summer snack. Combing chickpeas, peanut butter and agave in a food processor and process until smooth. Add water (or milk) as necessary until desired consistency is reached. Spread half the dip on the bottom. Top with slightly softened ice cream and freeze until set. Spread remaining dip on top and freeze until set. I used 3 Tbsp peanut butter, 3 Tbsp agave and 2 Tbsp water. I would’ve added some vanilla too if I hadn’t forgotten. If you want a stronger peanut butter flavor, add an extra Tbsp or two. If you want it sweeter, add more agave! My advice would just be to start with less, taste and then add more! For my ice cream sandwiches I used mint chocolate chip ice cream 🙂 Those are definitely my favorite. The dip is delish on it’s own as well. For the snack balls, I added the oats to thicken it up a bit…but it’d probably be fine just forming into balls and freezing without the oats if you didn’t want them! So tell me, which way looks best to you?! All 3 way look good, but I am a sucker for a snack ball! I love this idea rather than just using it as a dip (which doesn’t work for my taste buds). Trying this next time! Yay for the 4.0! All three look delicious! I was drooling over them on instagram. I think I might need to try to make the ice cream sandwich! That looks amazing. I’m going to try that this weekend when my vegan sister is in town! I think my heart just melted…like whoa now! Oh man. They all look good. I gotta go with balls though. I love balls (although I always eat my dessert hummus as a dip). Hmm… Maybe I just like your balls. Ha ha!!!! I’d like to try the ice cream sandwiches. Maybe I can slowly convert them to chickpea lovers that way. Love this! They all look fantastic! Yum yum!! I have tried this before, with a slightly different recipe (I think I used maple syrup instead of agave because I’m not a fan of agave). I loved it! Thanks for the inspiration on how else to use the hummus! Um, ice cream sandwiches?? Sign me up! all of them!! holy cow this sounds unbelievable!! i def want to do this and not say anything about the chickpeas… no one would ever know!! i love dips, so i’d definitely go for the dip version. yum! it looks like your kitchen was a party with all of your experimenting yesterday! Ever since I saw this on instagram, I’ve been drooling. And now I LEGIT want to make the dip right now, at 8am, as I have all the ingredients handy. YUM!! you are a freakin’ genius girl!! Congrats on the 4.0! That’s fantastic!! YUM! I want to make the snack balls … and I have all the ingredients! So fun! These all look really yummy–and so creative, too! I’m a sucker for ice cream sandwiches. You’re brilliant!! And a huge congrats on your 4.0, lady! HOLY COW!! Who would of thought of hummus as desert?! Youre a genius! Those sandwiches look awesome! I tried some “cookie dip” with chickpeas and thought it was HORRIBLE – but maybe I will have to try again using your recipes! I’m going to have to give this a try. I like the fact that there’s alot of protien content. Also trying to think of something ton dip with that is gluten free for my neice. Maybe some type of fruit. So awesome!!! I’ve got to try this and food my fiance with it! Oh my goodness…can I come over and eat some?? Those all look and sound amazing!! wowee, these all look awesome! 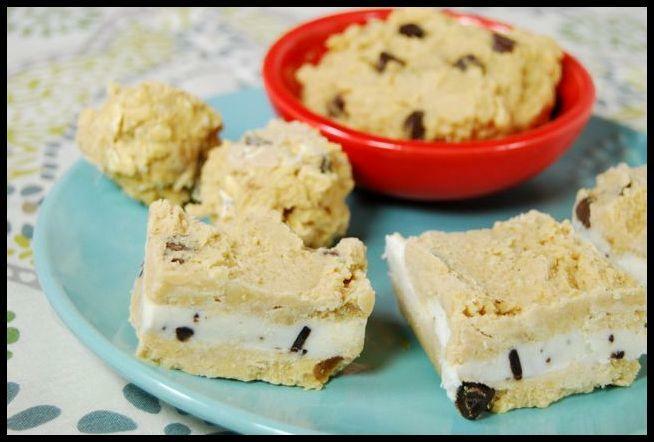 i’d totally eat all three, but i’m intrigued by the ice cream sandwiches! Wow! What a cool idea! I need a larger food processor and then I’m all over it. I”m a big bean fan! Never have I ever heard of dessert hummus. I’ll have to try it, it looks great! I have been waiting for this after seeing all of your instagram pics! Ahhh sounds so good! Ahhhhhh! you have hit the peak of awesome concoctions!! DESSERT HUMMUS?! YES PLEASE!!!!!!!!!!!!!! I am TOTALLY making this ASAP! Ooh, I saw your preview pic the other day and was waiting for the recipe to go up! Pinning it and hopefully making it tonight! Yum. It could be the desert of the year. I’m gonna try that. Thanks for sharing the recipe. They all look amazing… I’m so going to try the balls when I get home! Perfect snack to grab on the go! So should I place my order now? I actually fell on to a recipe last year that I make all the time which is vey close to this but I use a little banana and cranberries to make it instead of PB and chocolate…of course now I have to try this! Holy Hummus! Hummus addict, alert. This excites me to no end! Wow using it as a dip sounds amazing! With some graham cracker. Oh boy! I love this idea!! I would never have thought of it on my own so I’m super happy to have stumbled upon this. Yum! The ice cream sandwiches sound awesome!! Such a great idea! Sharing with everyone I know! Um. The sandwiches look amazing! Great idea to mix it up in 3 totally different ways! Love this. you freaking kill me! This is heavenly looking! I cannot wait to make this and luckily I have all ingredients. SCORE! It’s too hard to choose just one way, I like all 3! What a great idea! I never thought of freezing it. I have made the cookie dough though. Still looking for the perfect recipe. 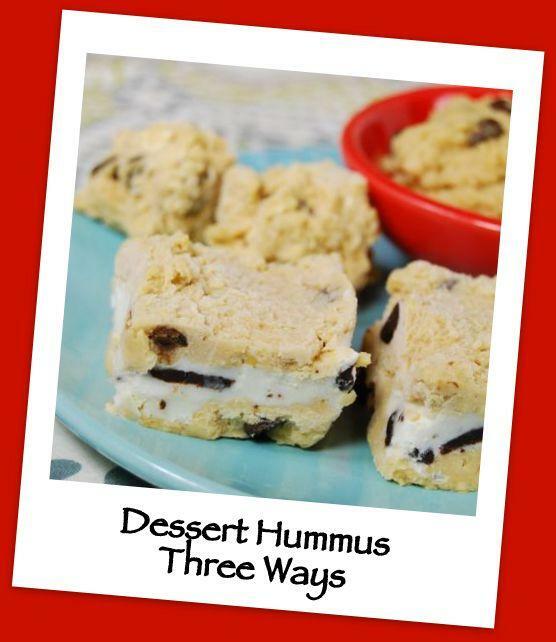 I love dessert hummus and I love the ice cream sandwich idea! I have chocolate peanut butter – I think that would be amazing! yes!!! that would be DELICIOUS!!! YUM! 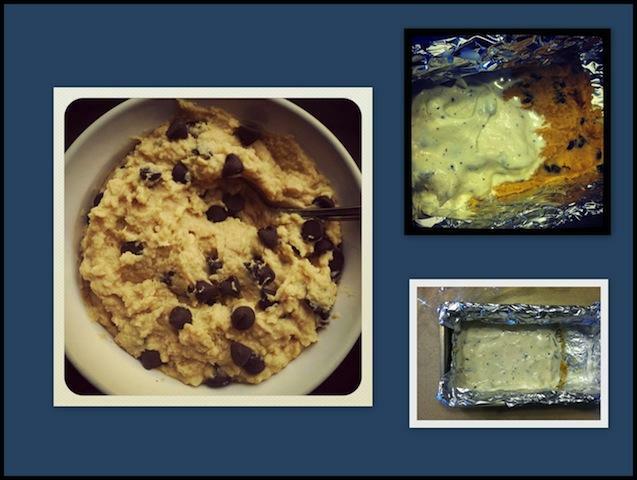 I actually made my first ever cookie-dough hummus earlier this month too! I loved the batch I made, but yours looks even simpler. Plus, I hadn’t thought of freezing it with Oats – that is definitely going on my must-try list! I just found this in your Best Of post. The snack balls will be made this afternoon in my house. 🙂 Can’t wait to try them! Just made the freezer balls and we loved them. My kids gobbled them up. Thanks! [WORDPRESS HASHCASH] The comment’s server IP (69.170.134.206) doesn’t match the comment’s URL host IP (76.74.254.120) and so is spam. [WORDPRESS HASHCASH] The comment’s server IP (184.168.46.102) doesn’t match the comment’s URL host IP (50.63.43.1) and so is spam. [WORDPRESS HASHCASH] The comment’s server IP (66.135.48.169) doesn’t match the comment’s URL host IP (76.74.254.120) and so is spam. [WORDPRESS HASHCASH] The comment’s server IP (198.58.81.200) doesn’t match the comment’s URL host IP (198.58.85.188) and so is spam. [WORDPRESS HASHCASH] The comment’s server IP (174.120.153.226) doesn’t match the comment’s URL host IP (174.120.153.253) and so is spam. [WORDPRESS HASHCASH] The comment’s server IP (192.0.82.101) doesn’t match the comment’s URL host IP (66.155.11.238) and so is spam.